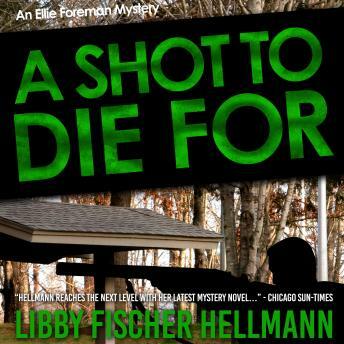 In the fourth crime thriller of the Ellie Foreman series, the Chicago documentary filmmaker finds herself in Lake Geneva, Wisconsin. Returning from a video shoot at the Lodge, a newly renovated, upscale resort, Ellie befriends a woman who claims her ride abandoned her at a highway rest stop. But Ellie's kindness is brutally cut short when a pickup truck pulls up, the rear window opens, and the woman is shot dead. Even with her history of sleuthing, Ellie is not eager to get involved. Then the victims's family arrives and begs for information. When the second shooting occurs, Ellie decides to poke around on her own. She is soon drawn into the history of a wealthy and prominent family, deeply rooted in a magnificent mansion on the shores of the lake, and surrounded by an elaborate web of lies, murder, and family secrets that have plagued both them and the town for years-secrets that now place Ellie in the crosshairs of a killer.